If you’ve dreamed of the perfect wedding or event, then look no further. We are one of the top rated Catering and Event Planning companies in the Inland Empire. Great Events Begin With Great Food. Graystone Catering coordinates your entire event from beginning to end including rentals, floral designs, complete set-up and clean-up or we can simply provide an excellent reception dinner that will have all of your guests talking. We can help with everything from our award winning food prepared fresh on location, to finding the perfect event venue, to developing the perfect wedding package to fit your plans and budget. Your Inland Empire Catering, Wedding, and Corporate Party Professionals. Graystone Catering has been exceeding our clients expectations in the Inland Empire for over 20 years and have recently celebrated our 1,800th successful event. We have been awarded the Wedding Wire’s Couple’s Choice Award for the past 7 years which recognizes the top 5% of caterers in the country and we have earned a 5 Star rating on Yelp, Wedding Wire, and The Knot. We look forward to providing our award winning food and service to you and your event guests. We are proud to offer our catering and wedding services at any location in Southern California that allows for outside catering. We operate at many resorts, private residences and venues each wedding season and would be happy to bring our years of experience and expertise to you. Buffet to full service, simple to elegant, affordable to spectacular. Our steaks, seafood, and chicken are grilled fresh on site and we have menus with something for everyone. We offer dinner for four at our first appointment so that you can experience our quality and service. We offer custom all inclusive packages that combine excellent services with great pricing. We offer this service at many great locations as well as your own locations. Let us design a custom package for you. All of our events are custom and unique with the peace of mind that you do not have to lift a finger to achieve the event you envisioned. We can plan and coordinate your entire event from beginning to end including rentals, floral designs, complete set-up and clean-up or we can simply provide an excellent reception dinner that will have all of your guests talking. Our goal is simple: To help make your event unforgettable. This is your day, share your vision with us and we will make it happen. 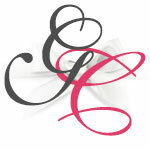 Graystone Catering & Event Planners is a premier Inland Empire Catering Company. We are proud to offer our catering and wedding planning services at premier locations throughout Southern California including many resorts, private residences and venues.